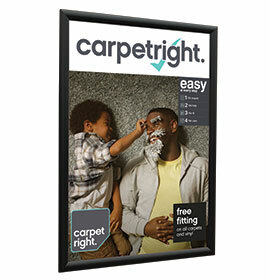 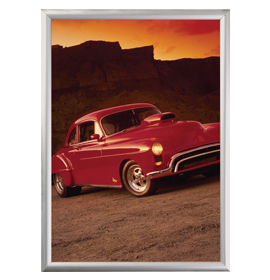 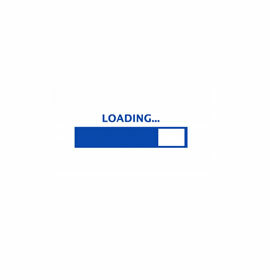 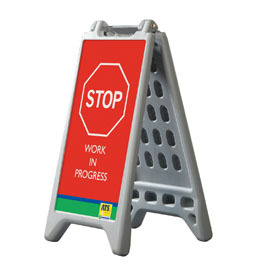 This category covers a variety of fixings, frames and holders to support your own rigid signs/graphic panels. 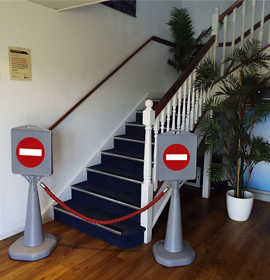 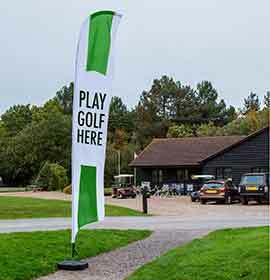 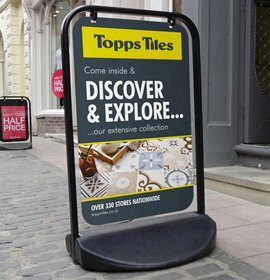 The range includes our high quality, competitively priced Stand-Off Sign Fixings, that add prestige to any wall mounted sign. 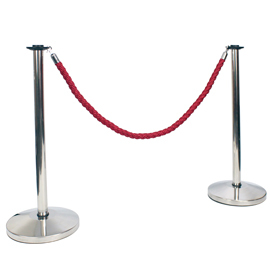 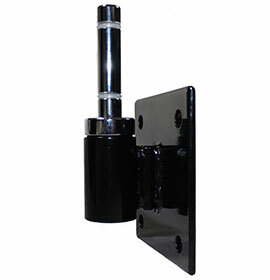 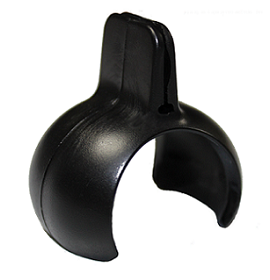 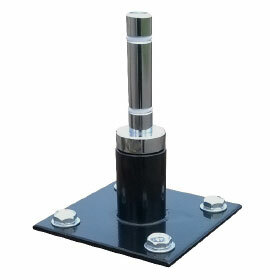 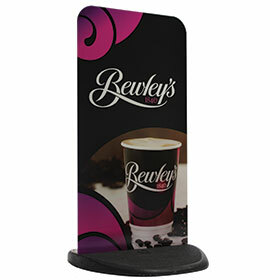 They are available from stock in two popular sizes and four finishes. 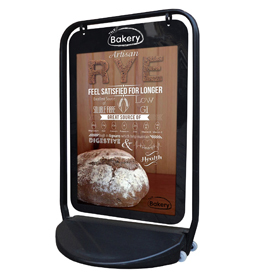 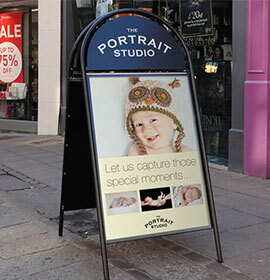 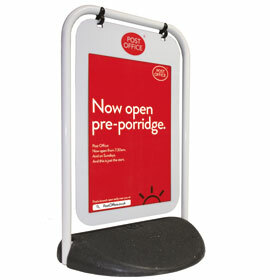 Another key product in this category is the Premier A-Board Frame. 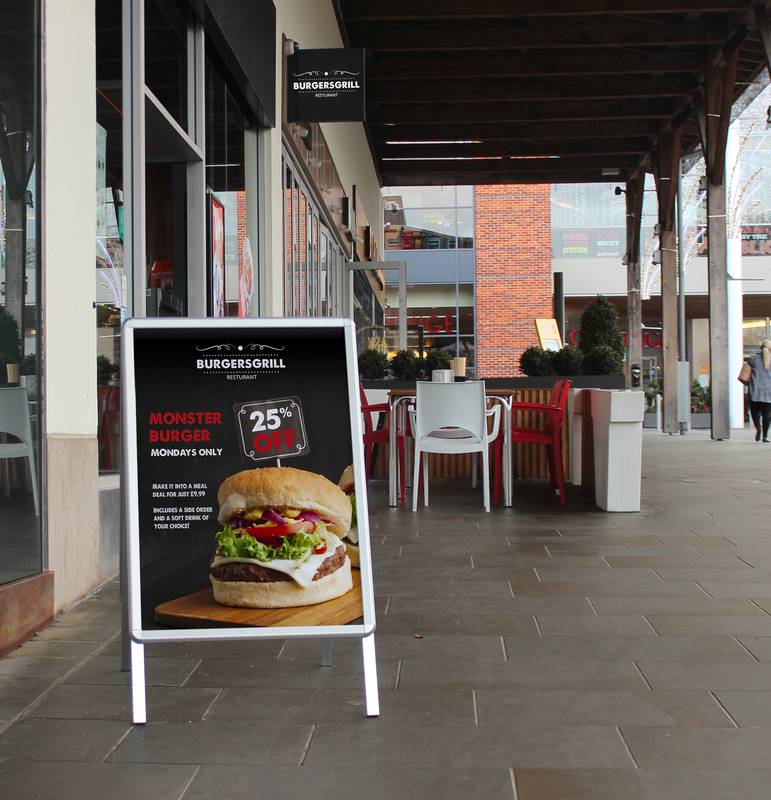 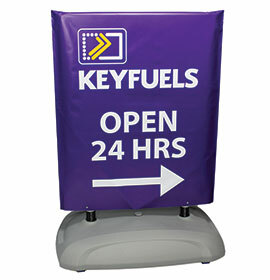 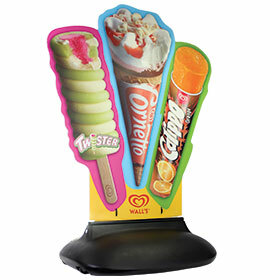 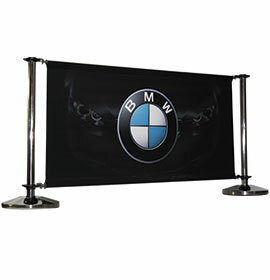 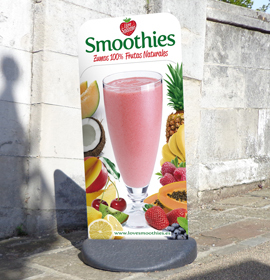 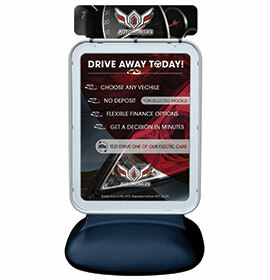 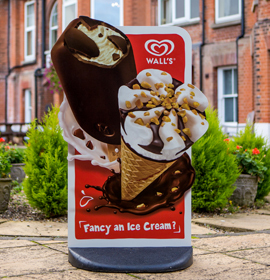 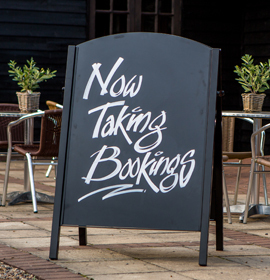 Our 2 stock sizes allow you to make up a-boards with a variety of sign panel materials simply and cost-effectively. 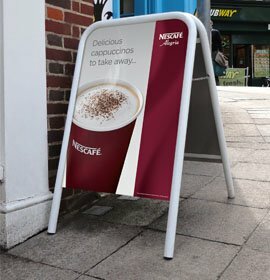 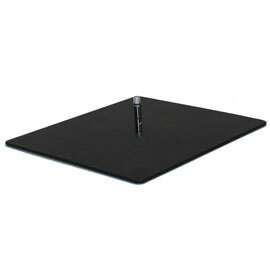 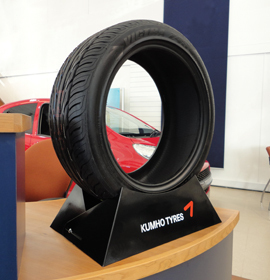 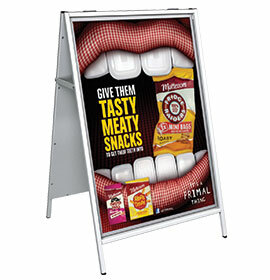 It also has the benefit of our unique, hardwearing rubber hinges that have made this a winner amongst a-board designs. 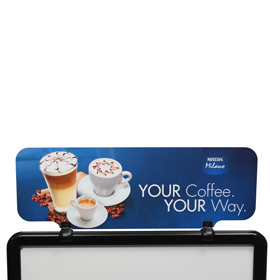 Take the leg work out of sign making with the all-steel construction Premier A-Board Frame.